When you were a little kid, did you enjoy getting a haircut? Remember having to sit still for long periods of time with the scissors snipping so close to your face? And how about the clippers that sounded like a jackhammer? What can parents can do to prepare their child on the spectrum for a haircut? Talk to kids well in advance, and prepare them for the experience of a haircut. Especially if it is a first time haircut, you don’t want to surprise them on the day of. Explain to your child that when he hears new sounds, it’s ok (i.e., clippers, blow dryers). 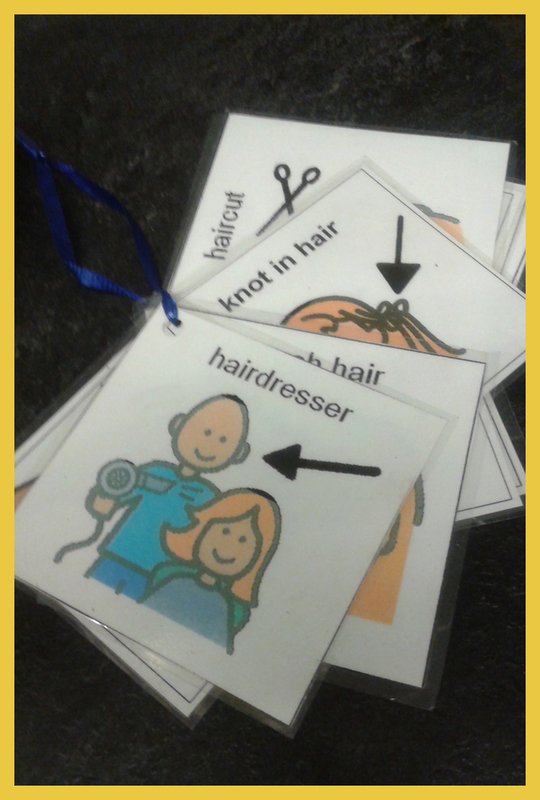 Social stories are also a great tool to use to prepare your child for time at the salon. It is a good idea for kids who are nervous to watch calm siblings or parents get their haircut, so they can see it’s not a scary experience. Also consider taking your child to the salon, just to sit and observe. This way, they can get accustomed to the atmosphere, and just sitting for 15 minutes or so. You can also tell them they’ll get a fun reward when it’s finished. 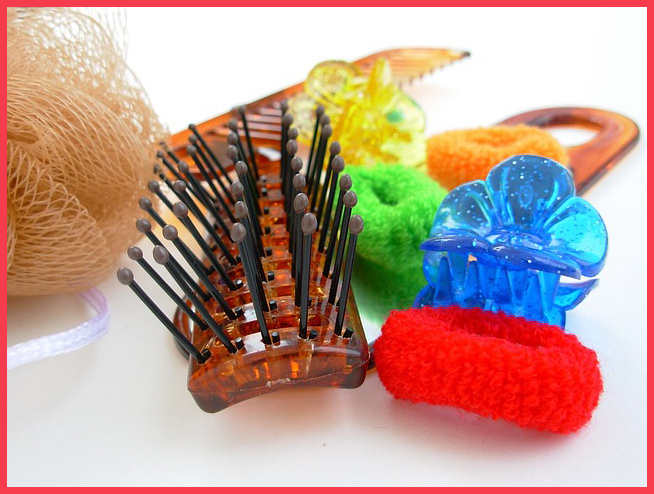 For example, KidSnips gives kids a treat at the end of a haircut such as a toy, or candy. After the very first haircut at KidSnips, the child and parent get a cute certificate, with a small lock of hair as a memory. Are there cuts or styles that are harder, more complex to do for a child on the spectrum? Fades, a very low haircut for boys, tend to take longer. They are difficult just because the clippers are so close to the scalp, causing a vibration on the head. For girls, stacked bob haircuts are also more difficult and take longer. Yet, even complex styles can be done because a good stylist will be patient even on time consuming haircuts. For example, if a parent comes in with a picture, and says “Make her hair look like this”, a good stylist is going to try their best to accomplish the look. Most hairstyles can be achieved with caution and care. What qualities should a parent look for in a good salon for their child? 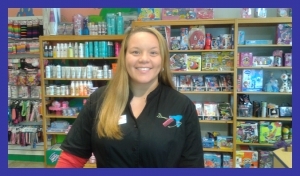 First and foremost, choose a kid’s salon that only specializes in kids services and products, with a friendly atmosphere. If you go to a full service salon, you may not get the catering and specialized training you receive at a children’s salon. Stylists at kid’s salons work with dozens of children, all day long. Also, be sure to find a place that serves kids of all ages like KidSnips. Many of their stylists keep their child clients for years, because they have formed a bond, and the kids become very comfortable. Your stylist should be very knowledgeable about products, and home care in between haircuts. See what type of products they recommend and have available for purchase for children on spectrum. If the children are sensitive, they may do better with products that don’t have strong scents, and are all natural. KidSnips offers a line of products for children that is all natural and scent free. This is a plus for many children on the spectrum. And finally, be sure the stylists are patient, and flexible with the children. For example, some children are more comfortable getting a haircut while sitting on the floor. At KidSnips, this is ok! What about children with tighter, curly textured hair? Any special considerations for their comfort during combing and styling? Be patient. Services such as detangling, blow drying and flat ironing take a lot of time. Call ahead of time, to make sure the stylist blocks out enough time for your appointment. The stylist should analyze your child’s curl pattern, to determine the best way to care for their hair. Make sure the salon has stylists who are able to style and cut ethnic hair, and understands the unique care it needs. KidSnips offers braiding classes, where the parent can learn hands on how to braid on their own child's hair! •Call ahead for an appointment and ask for extra time so your stylist can plan for working with your family. Feel free to tell the stylist what you think might work (i.e. a firm touch, a quiet voice, or even go quickly and get it over with). •Once you start getting your child’s haircut, be consistent. Keeping a good routine makes each haircut easier. A haircut should really be given every 4-6 weeks (More like 5 to really set a routine). •Have fun things available such as bubbles, ipads and movies. Anything that is entertaining will help out during the experience. For example, KidSnips has ipads that are preloaded with the newest movies, tv shows, and special things the parent asks for. Angela has been working with KidSnips for 6 years, cutting hair for children of all ages. One of her favorite parts about cutting hair at a kids focused salon, are the cool conversations she has with children.This includes many in depth Disney chats she gets to have! Angela loves making the parents worry free. She says in order to style children's hair on the spectrum, you have to have specialized skills, be outgoing, and be able to work quickly! You want to make sure that everyone involved is comfortable. You must be patient, that is the key. For more resources for children on the autism spectrum, including places for haircuts like KidSnips, please visit the BY YOUR SIDE resource page.